The best we can do to actively protect the environment is to choose machines of high quality with a long service life. Because if something lasts for a long time, it does not have to be disposed of prematurely. Our machines help to protect the environment with a lifetime lasting decades and a secure supply of spare parts.But we also practive active environmental protection during production. 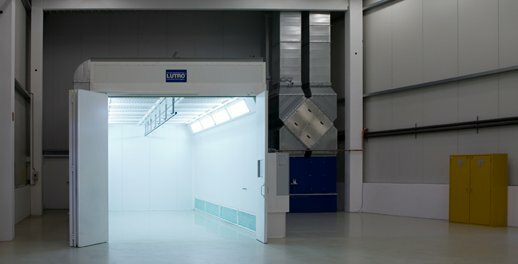 We are particularly proud of our new paint shop which fulfils the very latest technical standards, allowing parts and machines to be painted in an environmentally friendly way. For example, with our new paint shop we can reduce our CO2 emissions by 39 t per annum, in other words emissions can be reduced by more than 60%.